The Japan Foundation Los Angeles Lecture Series will present “Mavericks Change the World” by Takarabune on Saturday, March 16, at 2 p.m. at Japan House Los Angeles, Hollywood and Highland (6801 Hollywood Blvd. ), Level 5, Los Angeles. 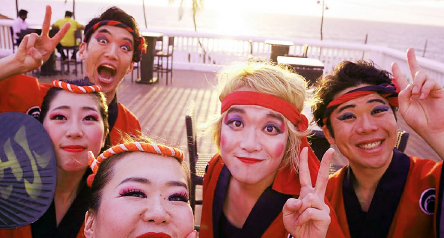 Toward the end of the lecture, the audience will be taught by the troupe how move like mavericks and have crazy fun. Free admission. Register through www.jflalc.org.